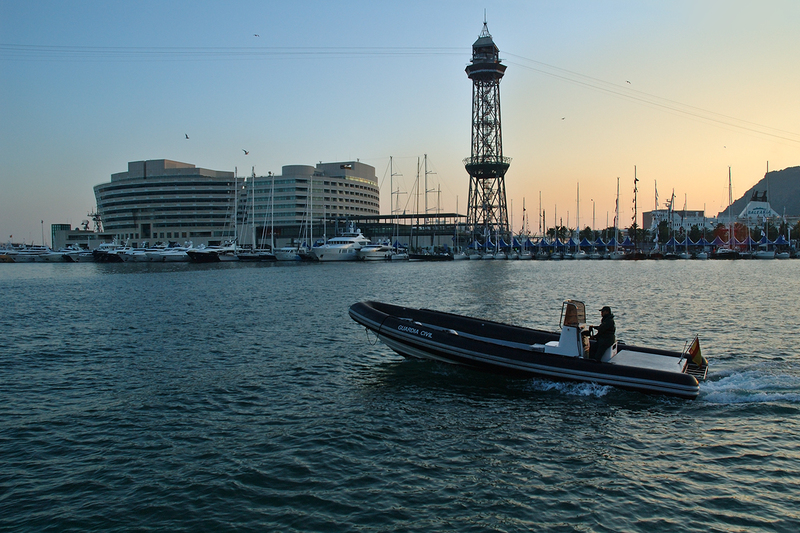 A sunset image taken at Barcelona Port with a close look on a Guardia Civil patrol boat. Besides the Spanish police boat, the World Trade Center building in the background and the Jaume I cable car tower are also worth mentioning. I've just discovered your blog with all this fabulous pictures. Because Barcelona is my second city in life, I'll come back to admire your new pictures. It is a pleasure my friend. Welcome to BCP!